Pool Golf is a a great game to play at the pool hall, bar, or other pool table when the same old billiard games are getting old. Pool Golf is a turn-based game played on an actual pool table. Also called Tees and Cues, players use regulation pool shots to hit all of the balls in for each “hole.” The “holes” are specially racked ball configurations of either 2,3,or 4 balls. Par for the hole is one more shot than the number of balls on the hole. For example, a hole with 3 balls is a Par 4. If you take 5 shots to hit all the balls in you get a bogey 5 for that hole. 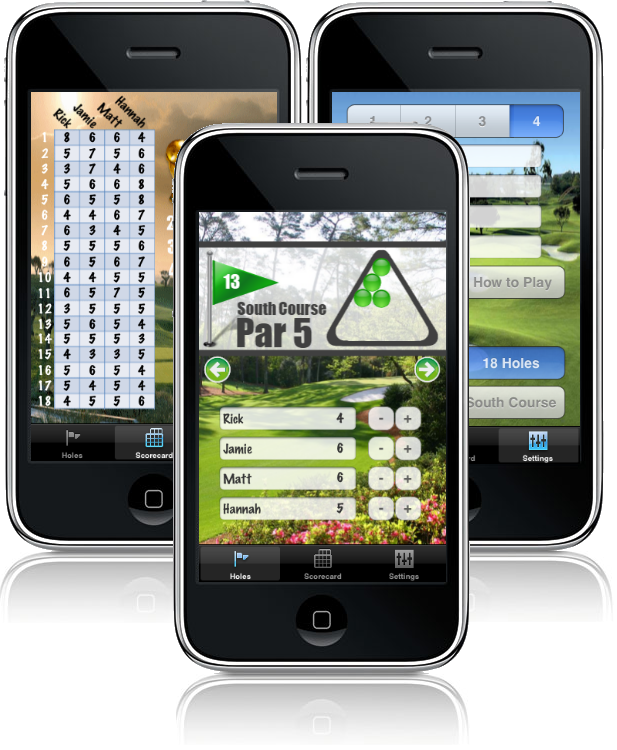 This App has two 18-hole courses which can be played in 9-hole increments. 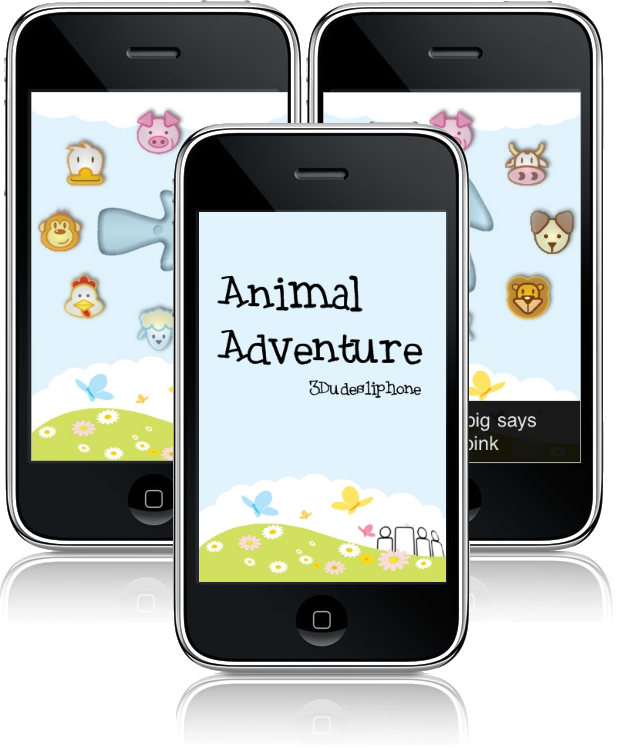 The App supports up to 4 players and their scorecards. Email the scorecard at any time to save the score indefinitely. – 9 or 18 hole game options. – Email Scorecard to yourself and the other players. – Scores are always saved. Never lose information until you explicitly clear the scores, even if the app is closed, you recieve a call, etc. Download Pool Golf for the perfect companion to your next time at a billiard table. 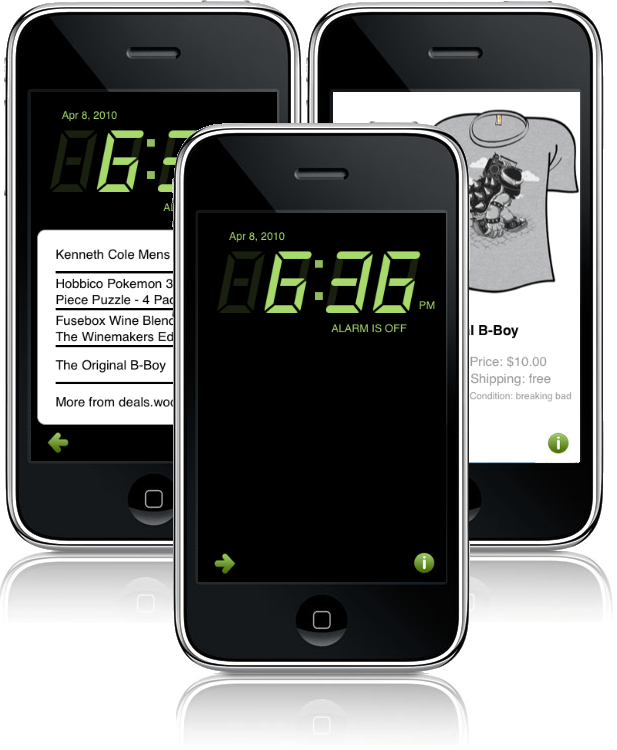 This app shows all 5 Woots, including woot, kids, shirt, wine and sellout, on a single screen. If it is sold out you will see that on the front screen as well. It is built to be the most no-nonsense way to check for that elusive deal on Woot. The Woot website is great but takes minutes just to load each full page even on 3G, not to mention requiring that you only get to see one a time. Other Woot checker apps have the same problem. 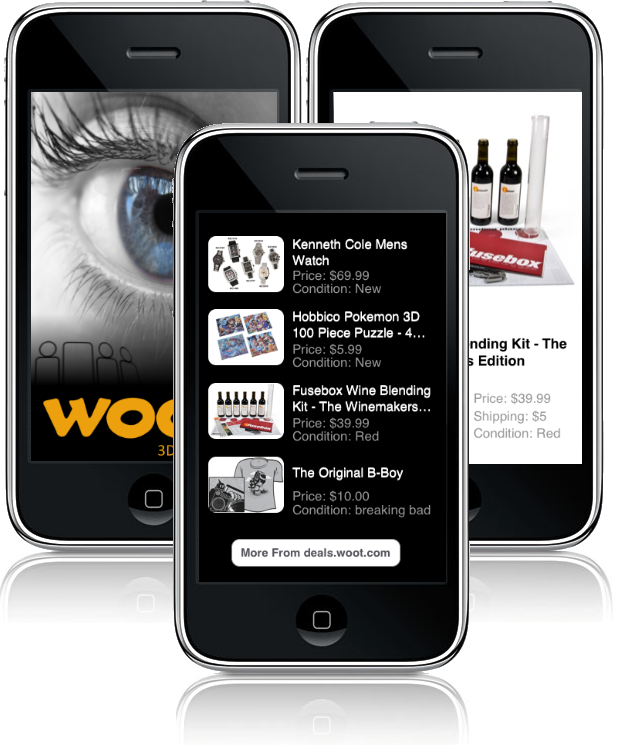 This app shows all you need to see in one screen quickly with the ability to dig in for more information when you see a deal you like. Your alarm clock should do more than violently disrupt you peaceful slumber. As a tradeoff, the least thing it can do is get you up to speed on current events. 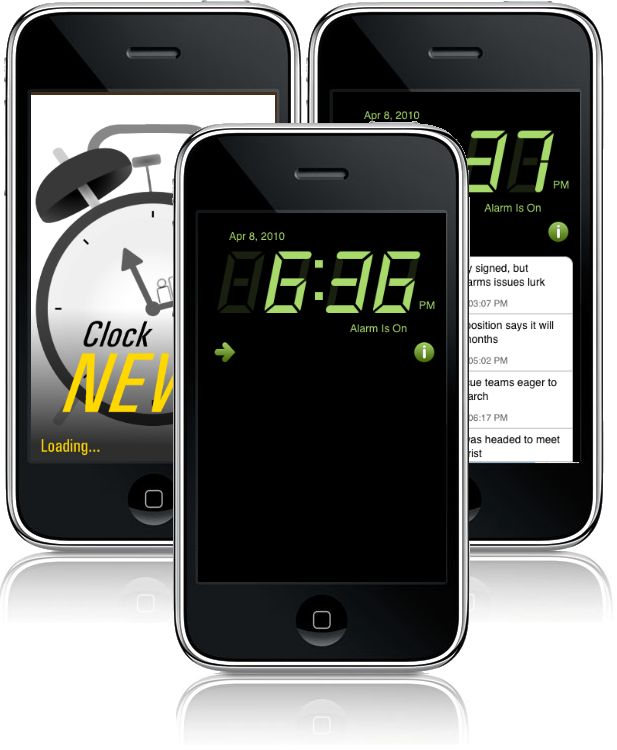 This app is a fully functional bedside alarm clock with all the features you would expect, including selectable snooze times and background colors. However, when this alarm sounds it also informs you of the latest happenings in everything from World News to Entertainment. The user-defined news categories include Top Stories, US National News, World News, Business, Politics, Technology, Entertainment, Science, Health, Sports, Editorial, and the all important Odd News. Be informed before you even get out of bed with the News Alarm Clock. Wakeup to an alarm clock that is more a than bothersome morning jolter. When Woot pulls out the stops and gives us a great deal, it sells quickly. You need a multipurpose alarm clock that has already been working before you wake up to give you the Woot-scoop in all 5 categories first thing in the morning. This fully functional alarm clock has various background brightness for lighting (or not lighting) the room at night. You can select whether the device goes to sleep and how much time you get to “snooze.” In the morning, the clock wakes you up and gives you the day’s woot at your fingertips. Note: As with other alarm clocks in the store, it is recommended that you use this app on your bedside charger and disable device sleep (an option on the ClockWoot settings page). Face it, Woot only uploads a new item once a day, and you only need to check once a day, the optimal time being first thing in the morning. “Wifiving” is like high fiving but you do it over the air waves to someone that is too far away to physically touch. We took this concept to the iphone by displaying a picture of a hand and playing a sounds when you pump the phone in the air. We have a number of different hands and corresponding sounds for each hand. 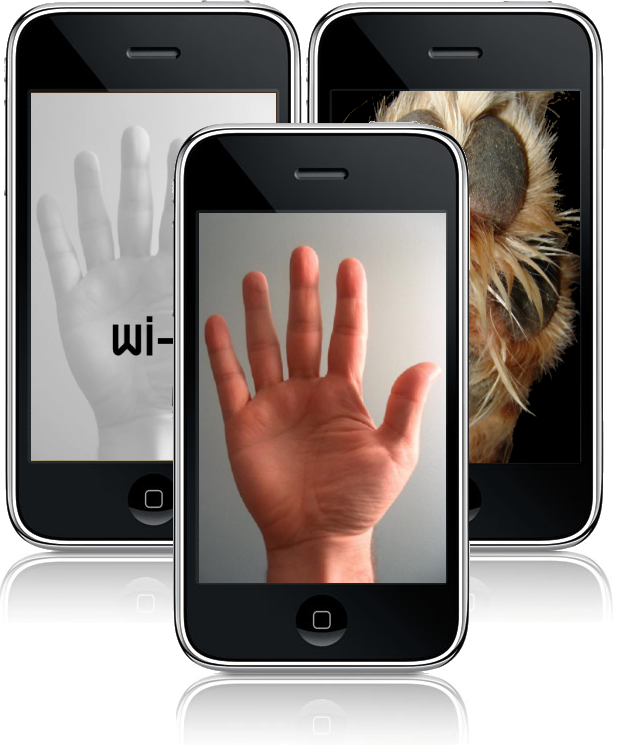 On the development front, we got used to scrolling and using a navigation controller to display the hand selections. We were also able to do some tricks with “lazy loading” so that all the picture did not fully load before the app could start running. This made the app startup significantly faster. As you scroll to the different images, the picture load in the background.